CEDAR CITY – Wildlife officials are once again on the lookout for a poacher or poachers who killed two deer and left the carcasses near Cedar City last month. 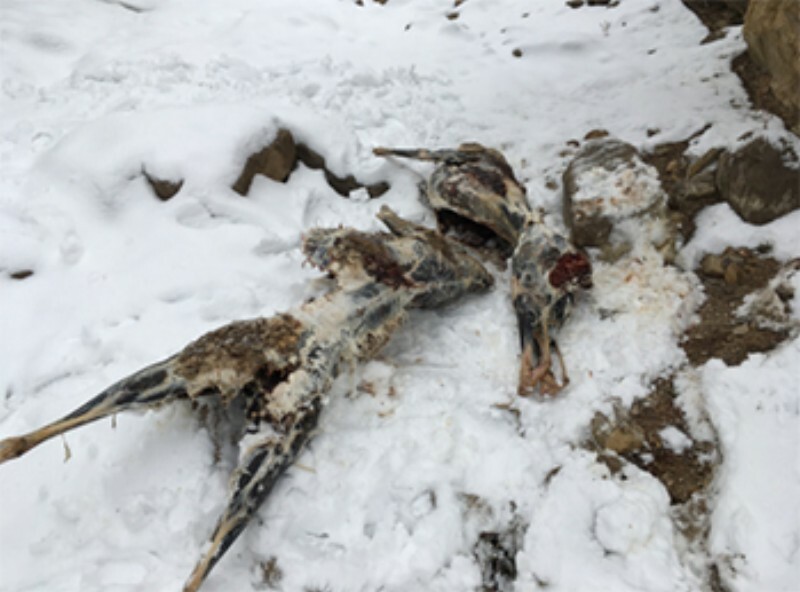 In late December, Utah Division of Wildlife Resources Officer Josh Carver was made aware of the presence of two dead bucks near Cedar City and investigated the matter, DWR officials said in press release issues last week. What the officer found were two headless deer carcasses that had been skinned and field dressed, yet the meat was left behind to spoil. Carver believes the deer were placed in the area they were found after being illegally killed and decapitated, according to the press release. The last known incident of poaching out of Iron County was reported in October 2016 when a cow elk and its calf were found dead. The elk were believed to have been killed during the muzzleloader deer hunt and were left to waste once shot. Other alleged poaching incidents have occurred Beaver and Kane counties last year. Deer were also reported poached on the Arizona Strip in May and August 2016. No arrests in connection with these incidents have been reported. If you have information about this case or those responsible, please call the UTiP Hotline at 800-662-3337. Anyone who provides information that leads to the identification and prosecution of those involved may be eligible for a reward, and your identity will be kept confidential. $30,000 for either desert or Rocky Mountain bighorn sheep. $8,000 for deer with 24-inch antler spread or larger. $8,000 for elk with six points on at least one side. $6,000 for moose or mountain goat. If the DWR determines that a poacher’s crime is intentional or reckless, he or she may lose the right to hunt and fish in Utah and many other states. Utah is a member of the Interstate Wildlife Violator Compact, which is an agreement among nearly three dozen states to honor each others’ decisions to deny licenses and permits to poachers.